"By far the best retention ever created, a true work of art and mastery. This is how magic should look." "Eric Chien's Coin to Cigarette is beautifully executed!" 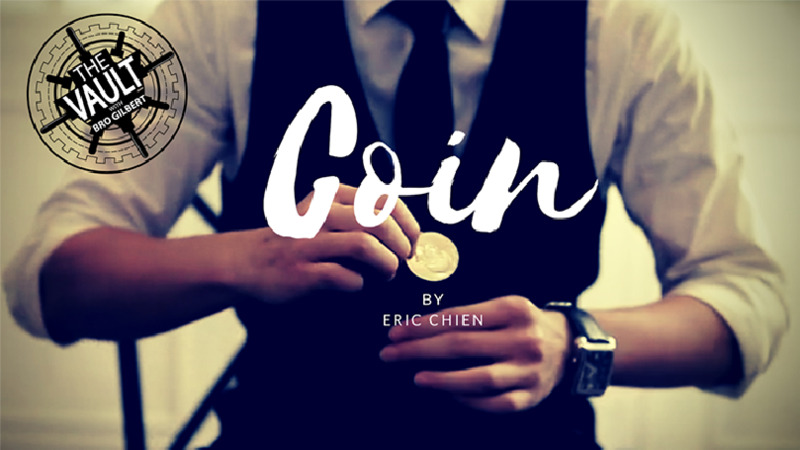 Eric Chien has been impressing top coin workers around the world with his performances of incredible sleight-of-hand magic. Some are saying he has created the best vanish in the world of a single coin. He has spent years working and creating the most amazing visual magic using a single coin and is now ready to share it with other magicians. What looks like camera trickery can actually be performed without any gimmicks and only one coin. COIN is the first time Eric has agreed to release any of his original handlings to the magic community. In this video download, he teaches his own incredible coin vanish as well as signature routines such as Dollar Coin to Signed Card. His handling on Coin To Cigarette is also included--it has fooled the best magicians in the world. This video will also inspire you to take his work and combine it with other routines that you already perform. Download the video and start learning these astonishing routines!